If you are an explorer who wants a big challenge, you can go to the Pinellas Trail. It is considered as the longest urban trail in the eastern part of US. The biking and hiking trail has the length of 47 miles. It links the St. Petersburg and Pinellas County. Visit the Space city in US. You just have to go to Florida and reach Titusville. This city is located near the JFK Space center. There are two rivers in Florida with similar name. This state is the only one which has a similar name of two rivers. The first river is in Madison country, while the second one is located in central Florida. Both rivers are named as Withlacoochee. Besides the Hispanic culture, the people visiting Florida will know much about Japanese culture by coming to The Morikami Museum and Japanese Gardens at. It is located in Delray Beach. The oldest settlement is Fort Meade. It is situated in Polk County. The growth of this settlement occurred in Semibole Indian wars. It was in 1849. There are many museums in Florida that you can visit with friend and family. You can go to Fred Bear Museum. This museum was constructed as an honor to Fred Bear. He is the founder of Bear Archery Company and promoter of wildlife management. The museum is located in Gainesville. Hawthorne Trail is a medium size train. It has the length around 17 miles. People like to visit this trail because you can walk, ride a horse and cycle along the trail. Anotehr trail to visit can be seen in Yosemite National Park. Visit the Venice of American by visiting Fort Lauderdale. The city was called as Venice because it has a local waterway in the length of 185 miles. Greater Miami is bordered by two national parks. 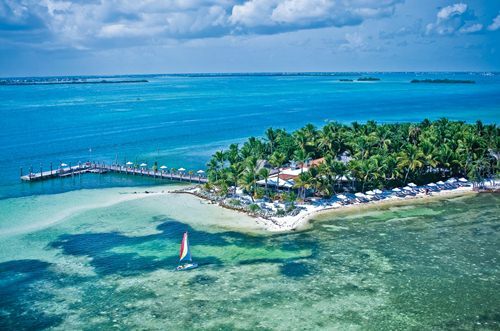 Both are the Biscayne National Park and Everglades National Park. Read dolphin facts to more about an aquatic animal. If you want to teach your kids most about under water animals such as mollusks, you can go to the museum located in Sanibel. It has the collection of more than 2 million of shells. If you want to enjoy an amusement park, you can get to Orlando. Do you know more facts about Florida?